Made from soft, stretchy fabric and filled with micro fibre beads, it cradles your head and neck in its natural position, preventing neck discomfort. 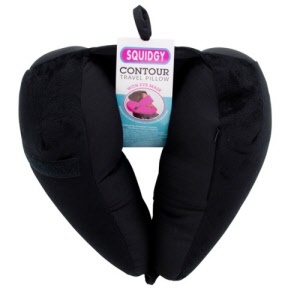 In addition to its improved ergonomic design, the Contour Travel Pillow secures around your neck with a press stud closure. It also features a built in eye mask to block out any bright light, next time you’re napping on your travels. If you’re not resting your eyes the mask can simply be stowed away in a small seamless pocket. 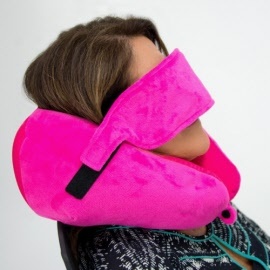 Super comfortable - don't put up with neck stiffness or bright lights while travelling. Easy drip dry, hand wash only.